There’s a surprise Warcraft movie panel going on at Blizzcon that’s not being streamed via the virtual ticket. It’s already kicked off, so hit up the below for all the information coming out of a Q&A panel with a large portion of the cast, Duncan Jones and Chris Metzan. The first version of the movie was “humans are good, everyone else is bad” – Duncan’s version of the script puts some of the Orcs in more positive roles. 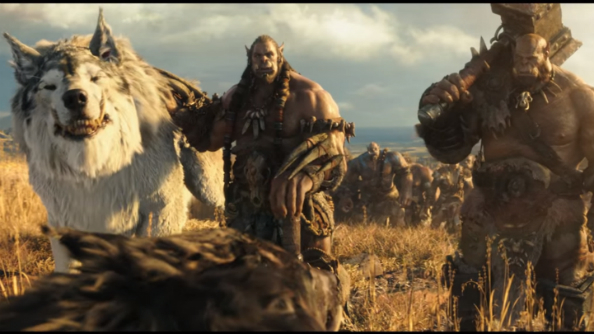 Based on the trailerthey’re banding together to take on the less-friendly Orcs. Metzen says that Duncan, in their first meetings, was able to create something with far more sides to it, something important in a movie based on a game where everyone is their own character. Dominic Cooper, who plays King Llane Wrynn, admits he had never played the game and had no idea what he was letting himself in for. He was particularly surprised by the scale of everything – massive sets, a costume he could barely move in and a sword he at first couldn’t lift. Ben Foster, Medivh, does some microphone-related comedy before breaking down how his character is interested in protecting Azeroth from not only the outside threats but the people that already live there. He’s cut off before he can go into too much detail. Gul’dan is played by Daniel Wu, whose wife is majorly into World of Warcraft. He believes that Gul’dan, who is basically the bad guy, thinks what he was doing was the only way to save his people. Everyone’s got an excuse. He also says that Duncan deliberately stopped him trying to look up the character online, as the amount of information would cause overload. Paula Patton was brought in specifically by Duncan to play Garona, believing she was perfect for the role. She talks about how strange it was to play a character that is a fish out of water even in this full-fantasy universe, as Garona is one of very few half-human, half-orcs. She also had to learn how to ride a horse and wield a sword while working out all the character elements. Duncan points out that Garona is at the heart of the story. She’s the “bridge” between two cultures that have never met before and really badly want to kill each other. Metzen and Duncan talk about the cultural impact of WoW and how strange it is to be putting a story out to so many people. Duncan experienced this at first from a ground-level perspective, when he was first playing the game and having to communicate with people all across the world for vital teamwork. This idea of cooperation between two cultures is, as you’ve gathered, a big part of the film as well. Moving onto the story itself, Chris is a bit cagey about how similar the story of the movie will be to the first Warcraft game and its novelisation. He points out how “crude” game storytelling was back then (“and you could argue today”) and how much it can and should be fleshed out when writing a book or, indeed, making a movie. He says it’s grown a little more, but also simplified some of the themes and ideas in there. 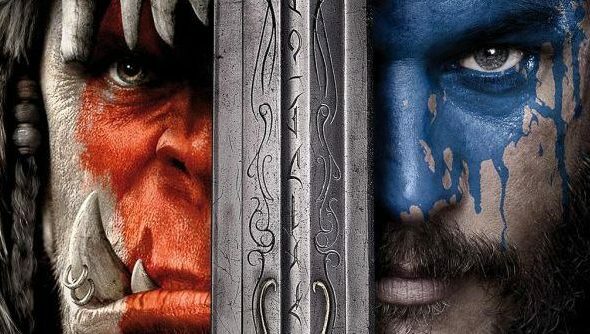 He calls it the “ultimate version” of Warcraft: Orcs and Humans, “streamlined and sharper.” Duncan talks about trying to stay true to the spirit. Metzen also admits that there are bits of the lore that weren’t … great, and needed re-working. And that’s the panel! Duncan Jones has a final note that the roars they recorded at last year’s Blizzcon did get used in the final edit. We’ll have more from Blizzcon over the next week.